In the spirit of the Shemittah, the Knesset on Monday passed on its first reading a law to prevent debt collection for 3 years. In the spirit of the Shemittah, the seventh Sabbatical year, the Knesset on Monday passed on its first reading a new measure that will prevent government-licensed sheriffs from seizing property for the payment of debts from people who just can't afford to pay. The law, proposed by Justice Minister Ayelet Shaked, will be sent back to various committees for review and is likely to come up for a final vote in the Knesset's winter session. Supporters believe it will easily pass into law. The law is expected to save Israelis struggling with bills some NIS 10 billion. The sheriff (Hotza'ah Lapo'al) is no modern-day version of a Western law enforcer, but a government-licensed agent who is empowered to seize property on behalf of companies – and the government – to whom Israelis owe money. An organization seeking to collect on a debt can go to court and get an order for collection, which it then turns over to the sheriff, who does the actual collecting. If the debtholder has the means to pay, they can do so; otherwise, the sheriff will seize property, usually starting with a car, to satisfy the debt. For some people, the Knesset said in its new law, seizing property is debilitating, and truly cruel and unusual punishment – because they just don't have the money to pay, and any new money they earn just goes to servicing their old debts, guaranteeing that they remain on a treadmill of poverty. 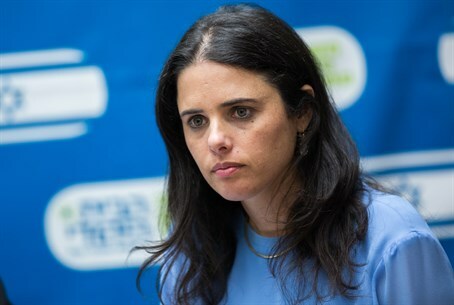 The law proposed by Shaked, an adjustment to the law on debt collection, will suspend debts owed by poor Israelis for a period of three years, giving them an opportunity to get back on their feet and get themselves into a position where they will be able to pay off their debts. The law will apply to debt holders who have no assets other than their salaries and a small bank account, and do not own property or other investments. Currently, such individuals, who usually have a judgment against them, are subject to wage garnishments, and are unable to leave the country or even use credit cards. All those restrictions will be lifted for the three year period as well, the bill says. The law has been dubbed “the Shemittah money law.” According to the laws of the Shemittah year – the current year on the Jewish calendar – farmers are supposed to let their lands lay fallow, but individuals who are owed debts are supposed to forgive them. Like the rules on working the land, there are legal measures an individual who is owed money can take to ensure that they get repaid. “There are in Israel many individuals who cannot pay their debts,” Shaked said in a note attached to the bill. “These people are also being denied an opportunity to be part of the Israeli economy, and cannot get out of the hole they are in. They are buried deep in the cycle of poverty, and this law will help them open a new chapter in their lives,” she said.